« Sturgis Buffalo Chip 35th Anniversary. 2 New Bands Announced. Published by Cyril Huze May 18th, 2016	in Builders, Editorial and Events. Harley is debuting a new strategy, going to the streets to recruit younger riders of competitive brands…The company created its first-ever free motorcycle-share pop up so everyone (at least through Friday) can test ride a new motorcycle and feel the difference of the nimble Roadster’s air-cooled 1200cc V-Twin engine in urban environments. From today Wednesday to Friday, from 10 a.m. to 2 p.m., Harley will let riders test the new 2016 Roadster and all its models whose MSRP is under $12,000, meaning the full Sportster lineup. It shows how much HD is worried/motivated to attract new riders. Motorcycle brands war moved to the street. Good for them, it’ll help riders see HD as an accessible option. Come on down to the south! 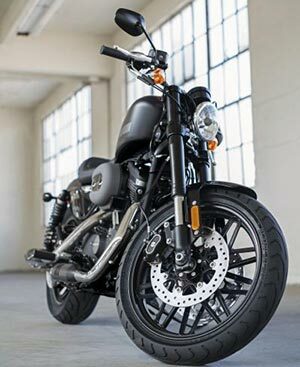 I think Joshua is right, indian and victory has Harley on the run.i have a 1200 sportster and every time i see a victory or a indian I get sick!! Just as I predicted some time back, Indian and Polaris have become serious competitors and it is a win win for the consumer. Better quality motorcycles, better service and better pricing, not to mention more choices. God bless the U.S.A.
Dommage!j’aurais bien aime en profiter. Agree wholeheartedly with Hillbilly Jim !!!! Competition was lacking for H-D for Decades ! !